Kirsten Galler is of counsel in the Los Angeles office of Gibson, Dunn & Crutcher, and is a member of the firm’s Litigation Department. She is also a member of the firm’s Appellate and Constitutional Law and Class Actions practice groups. Ms. Galler has extensive experience litigating a wide range of complex commercial matters in state and federal court at both the trial and appellate level. She has represented clients in matters involving breach of contract, transnational litigation, class certification, punitive damages, wage-and-hour disputes, personal injury, professional malpractice, and other complex matters. She was recently named as a “Rising Star” in the area of business litigation by Super Lawyers. Obtained complete defense victory on behalf of annuity company in arbitration seeking over $120 million in damages for breach of contract. The arbitration decision dismissing the case was unanimously affirmed by the West Virginia Court of Appeals. Successfully represented the University of California in a seven-week bench and jury trial in California state court against an international consulting firm in a case alleging claims for professional malpractice, breach of contract, and under the False Claims Act. Successful defense of a law firm against $110 million claim brought by film financing hedge fund alleging malpractice in handling of bankruptcy action. Secured dismissal of claims in putative consumer class action challenging early termination fees in telecommunication contract. Obtained summary judgment in favor of energy company in securities litigation case seeking over $3 billion in damages. Persuaded the Los Angeles Superior Court, on post-trial motions, to vacate record-breaking $178 million wrongful death judgment following a six-week jury trial. Obtained a $17 million remittitur of a $34 million punitive damages award following post-trial motions in a breach of fiduciary duty case. Secured a writ of mandate from the California Court of Appeal, Second Appellate District, in a putative statewide class action involving alleged misclassification of employees as exempt. Represented leading retailer in wage-and-hour and class certification appeals in various state courts. Ms. Galler also maintains an active pro bono practice. 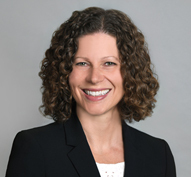 Among other matters, Ms. Galler leads the team of associates in pending litigation challenging the rescission of the Deferred Action for Childhood Arrivals (“DACA”) program, and she has been significantly involved in the appellate briefing before the Ninth Circuit and United States Supreme Court in that case. The Daily Journal recently named the Gibson Dunn team in the DACA case among its 2018 California Lawyer Attorneys of the Year. Ms. Galler received her law degree in 2003 from University of California, Berkeley, School of Law, where she was elected to the Order of the Coif. In 2000, she earned a Bachelor of Arts degree in Law and Society with a minor in Global Peace and Security from the University of California, Santa Barbara. Ms. Galler is a member of the bars of California and the District of Columbia.